The Economics Of Happiness And A Country's Income Inequality For many years people have puzzled over why countries that get richer don't seem to get happier. Now, researchers have an answer. For many years people have puzzled over why countries that get richer don't seem to get happier. Now, researchers have an answer. Money can't buy you happiness, right? That's the assumption we've always had, and it feels good to feel that way. It's also been held by something called the Easterlin paradox that happiness is about lots of other stuff. Well, it turns out the story might be a little more complicated. NPR's social science correspondent, Shankar Vedantam, is here to talk about it. Hey, Shankar. GREENE: So Shankar, I kind of like the Easterlin paradox. Why are you going to tell me it's more complicated than that? Remind us what it is. VEDANTAM: Well, the Easterlin paradox, David, is named after Richard Easterlin. He's an economist at the University of Southern California. And he observed that as countries grow richer, as they grow in wealth, we often do not see a parallel rise in subjective levels of happiness in those countries. GREENE: Which makes us kind of happy, that, I mean, happiness is not about money. It's about lots of other, you know, feel-good things. VEDANTAM: Precisely. There's new work by Shige Oishi - he's a psychologist at the University of Virginia - that adds a wrinkle to the Easterlin paradox. So he told me that the United States is itself an example of the Easterlin paradox at work. GDP in the U.S. has grown much faster than happiness levels. Oishi told me that when he examined the wealth and happiness data in the U.S., he noticed a connection between this and another factor, the rise in U.S. income inequality. Here he is. SHIGE OISHI: We found that, you know, Americans were in general happier when, you know, income inequality wasn't that great, namely 1970s and 1980s. And despite the fact that, you know, GDP per capita grew over time, Americans seem to be less happy. GREENE: OK, so America grows richer, people not getting happier - but he's saying it might be because there's more income inequality here. VEDANTAM: That's what he thought it might be. He decided to test this by obtaining data from 34 countries. He tracked changes in wealth, changes in happiness levels and changes in income inequality. Now, in the past, David, many people have argued about whether the Easterlin paradox is actually correct because they've observed that in some countries, increased levels of wealth actually do produce increased levels of happiness. Oishi found the same thing. Happiness levels sometimes rose with increased wealth, but they also sometimes didn't. And he thinks that, again, the factor that makes a difference is how widely the growing wealth of a country gets shared. Here he is. OISHI: In countries like Denmark and France and so forth, where economic growth did not entail increase in income inequality, the people - citizens - on average got happier over time. On the other hand, in a place like Portugal, where the national wealth did not - was not really shared, they didn't become happier over time. GREENE: All right, so the storyline, Shankar - people feel happier if there's a sense of sharing - that they're sharing the wealth. I mean, could there be other factors at play here though? VEDANTAM: There are almost certainly other factors that play, David. Oishi I think is just saying that income inequality is one of the factors that affects the wealth-happiness relationship. At an individual level, psychologists have long noted that increases in personal income do not translate beyond a certain point into increases in happiness. They sometimes call this the hedonic treadmill. You buy a new car or a new house, and you're very happy for the first week or the first month. But six months later, you go back to your baseline levels of happiness. So clearly, there are many factors at play involving income and happiness. Income equality appears to be just one of him. GREENE: Shankar, thanks, as always. GREENE: That's Shankar Vedantam. He regularly joins us to talk about social science research. 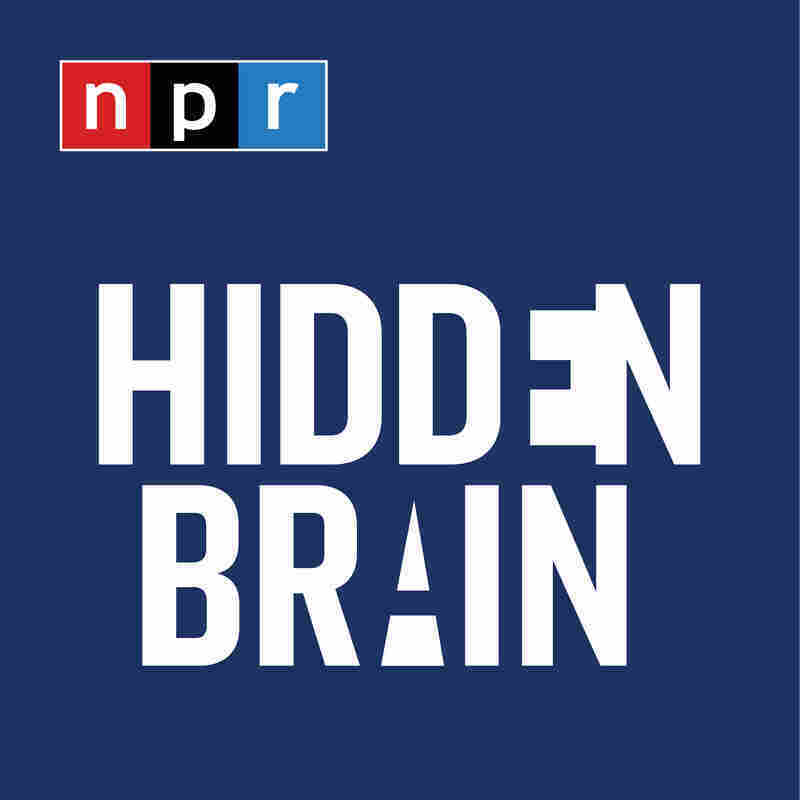 He is also the host of the new podcast, Hidden Brain.